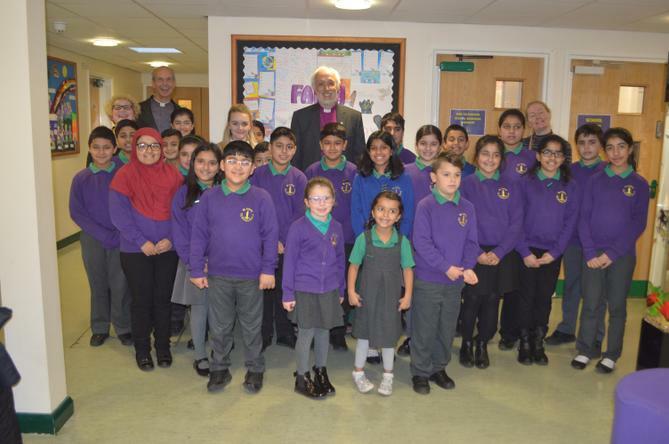 On Monday we were delighted and honoured to welcome The Bishop of Manchester into our school. He was given a full guided tour of our school and spent time with the children from our School Council and our Peer Mentors. We were very impressed with some of the wonderful questions the children had to ask. At the end of the visit The Bishop joined us in prayer which was a very special occasion. We really hope we can welcome The Bishop of Manchester back into school soon.